We've collected the most adorable kitty footage in the world and crammed it all into the Ambient Kittens DVD. There are enough "oohs" and "awws" to last a lifetime! 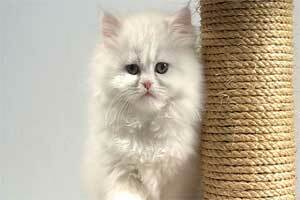 Cute kittens play all day for you and your cat! To make Ambient Kittens, the team at Vat19 gathered up the cutest, cuddliest, prettiest kittens we could find. We built them a playful cat paradise filled with toys, towers, and plenty of catnip. And then we let them play! Watch 7 beautiful breeds romp, run, eat, and sleep, accompanied by soothing classical or contemporary music. And this DVD isn't just for humans - Cats love it too! 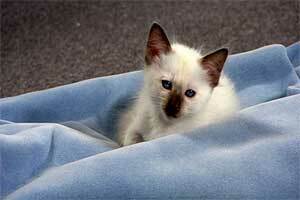 Your favorite 4-legged family member will delight to the playful antics of the kittens in Ambient Kittens! 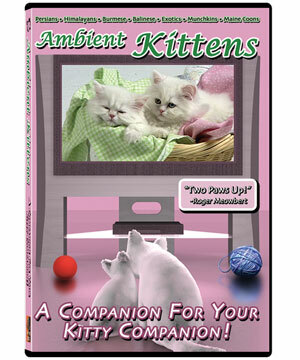 Buy Ambient Puppies and Ambient Kittens today! 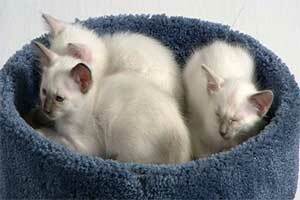 Three kitties is much cuter than one. 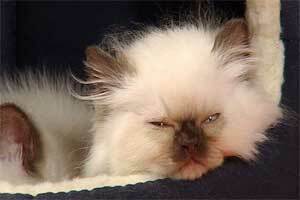 In the 'baby talk' voice: This widdle fella' wooks sweepy. Seriously, get out of my face with the camera. Scram. If you don't I'll slowly fall asleep in a very cute way. 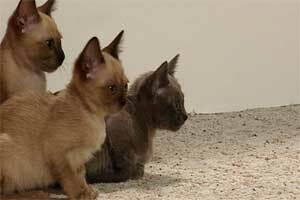 I'm from Egypt where cats have large ears and love to play-fight. 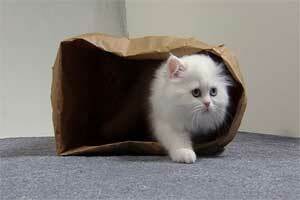 I'm just as cute coming out of the bag as I am going in. Did somebody make fun of the size of my ears? 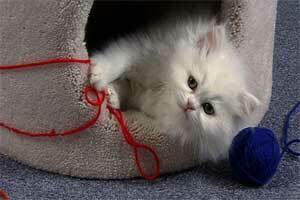 And for my next trick, I'm going to lie on my back and do cute things with this string. Ta-daaaa! 9 lives? Try INFINITE lives! Every DVD in the Ambient Series has the ability to loop any scene. This means there won't be any breaks in the action if you simply want your favorite scene to play over and over. Or you can put the entire DVD on repeat to keep your cats entertained while you're away. 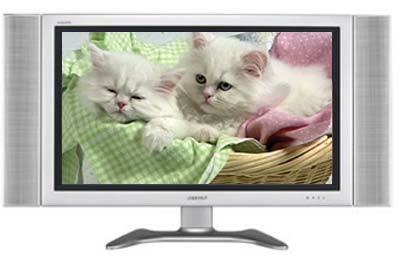 So, wait, it's just kittens on my TV? 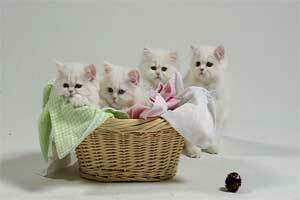 These aren't just any kittens! 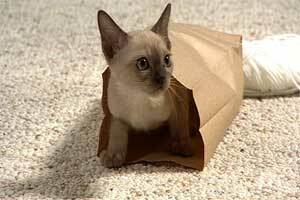 These are Ambient Kittens! They don't grow old. They don't sit on your face in the middle of the night. They're there when you want 'em and gone when you don't. They're totally digital, too, so you don't have to feed them anything but electricity. Yes, the rumors are true. 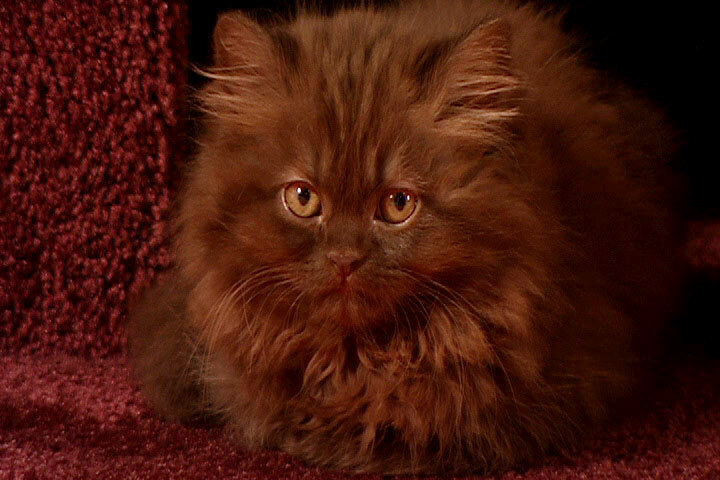 Ambient Kittens' Persians are cousins of Mr. Bigglesworth of Austin Powers fame (not the hairless Mr. Bigglesworth from the third movie, but the really cute one from the earlier films). So, Hollywood royalty...just another reason to grab your copy of Ambient Kittens today!